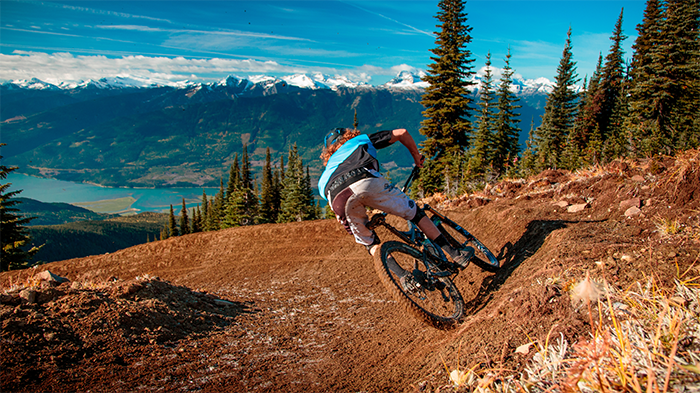 Come get the first taste of mountain biking at Revelstoke Mountain Resort with a top to bottom trail running our full 5,620ft vertical. 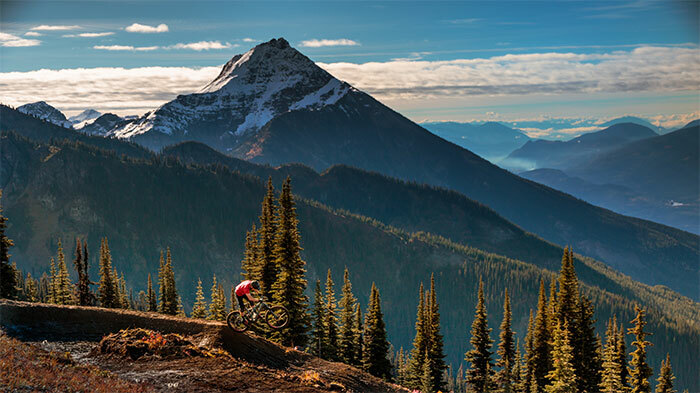 New for summer 2019, we're thrilled to introduce the beginning of our mountain bike product with a top to bottom trail, Fifty Six Twenty and a multi-use cross country trail. Access to the downhill trail, Fifty Six Twenty is via the Revelation Gondola and a 7km climb on The Stoke Climb Trail taking most intermediate/advanced riders about 45-60 minutes. From the top, enjoy the view and let the downhill fun begin with 15 kilometres of machine-built blue flow running our full vertical - 1,713 metres, or 5,620 vertical feet.